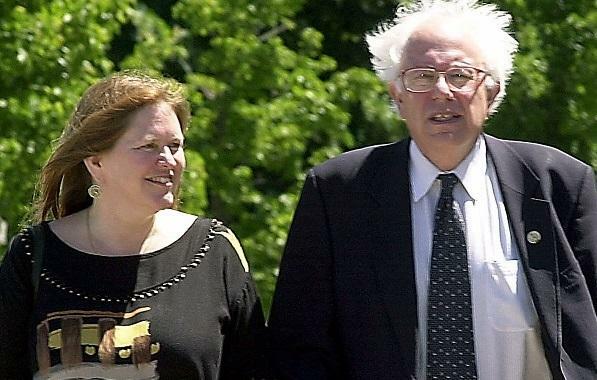 An FBI probe into a 2010 property deal orchestrated by Jane Sanders, wife of Sen. Bernie Sanders (I-VT), has escalated after a report by VTDIGGER reveals that a grand jury has been empaneled, and at least one witness has given sworn testimony in the case. The Grand Jury will decide whether or not indictments should be handed down over a $10 million loan orchestrated by Jane Sanders purchase a 33 acre property for the now defunct Burlington College – allegedly obtained through a ‘fraudulent scheme.’ Mrs. Sanders is accused of having lied about funding for transaction, while the FBI has also been looking into claims that Bernie Sanders’ office pressured the bank to approve the loan. In June 2017, Politico confirmed that Bernie Sanders and his wife Jane had retained high powered DC lawyers amidst the investigation. In 2004, Jane Sanders left her position as her husband’s congressional chief of staff to become president of the unaccredited and struggling Burlington College – founded in 1972 and operated out of a former grocery store. When Sanders took over as a “turnaround” president, she set out to rapidly grow the college – announcing a $6 million plan to expand the campus in 2006 which never came to fruition. Meanwhile, Sanders was rapidly earning a reputation for her “toxic and disruptive” leadership style, and in late 2008, according to a 2016 essay on the college written by a former teacher Greg Guma, “Nearly half of the students and faculty members signed a petition demanding a meeting about the “Crisis in leadership,” while Jane Sanders’ salary rose to $150,000 in 2009 amidst a tuition hike from $5,000 to $22,407 in 2011. Meanwhile, enrollment dropped by almost 25%. And in 2010, Jane Sanders announced a plan to move the tiny underfunded Burlington college onto a 33 acre parcel of valuable lakefront real estate in Northern Burlington. “It was the last piece of undeveloped, prime property on the lake shore,” according to Guma. The property was owned by the Roman Catholic Diocese, which was strapped for cash after recently settling over two dozen sexual abuse lawsuits for $17.76 million. The 33 acre property hit the market for $12.5 million, and the church agreed to take Jane Sanders’ offer of $10 million. When Jane Sanders made the offer to the Roman Catholic Diocese, Burlington College was nearly broke – with an annual budget just below $4 million. In order to finance the property, Sanders secured a $6.5 million loan from People’s United Bank in the form of a tax exempt bond purchase, and the Catholic Church agreed to carry a $3.65 million second mortgage on the property. Sanders told both institutions that Burlington college had $5 million in likely donor pledges and $2.4 million in confirmed pledges to be used to pay off the debt. Unfortunately, that was just for the land. Sanders apparently didn’t plan for the $6 million or so required to actually build out the campus on the property to include green space, athletic fields, lecture halls, and walkways. Compounding an already dire situation, Sanders’ original claim of $2.4 million in confirmed donor pledges was quickly reduced to $1.2 million according to documents filed in the first fiscal year after the purchase – yet in records obtained by VTDigger, Burlington College received only $279,000. Despite hopes by Sanders and college trustees that they could boost enrollment and expand the student body, nothing changed – and the school failed at raising the money to satisfy it’s loans. And then Jane Sanders was fired, with a $200,000 severance package. In order to try and avoid bankruptcy, Burlington college sold off pieces of the 33 acre property to a local developer – which allowed the institution to pay off some of the debt Jane Sanders had accumulated, however in April 2016 the bank called it’s loan – and on May 28th, the college closed it’s doors after 44 years in operation. As part of its bankruptcy, the Roman Catholic Diocese of Burlington lost at least $1.5 million and perhaps as much as $2 million on the $3.65 million loan. Politico revealed in their June report that [F]ederal investigators and FBI agents started to pull apart the $10 million financial arrangement. They showed up at Burlington College to sift through hard drives, audit reports and spreadsheets. They began to interview donors, board members and past president Carol Moore. I was contacted and spoke with an FBI agent numerous times last spring, again last summer, Moore told Vermont Public Radio in May 2017, and recently, maybe a month ago. With a Grand Jury now empaneled and interviewing witnesses in the Burlington College saga, one can imagine the outcome of their investigation will largely determine whether Bernie Sanders is a viable candidate in 2020, should he wish to challenge Oprah Winfrey of course.